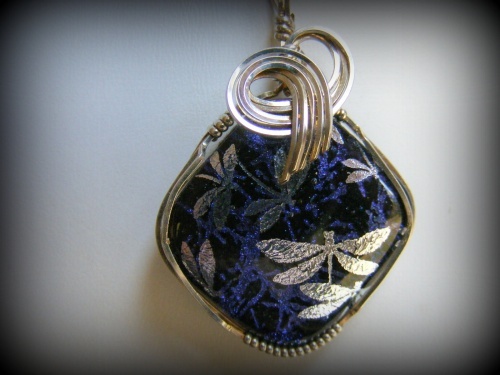 This pretty handmade dichroic glass pendant has sweet little silver dragonflies floating across the top of the piece that are embedded under the glass so they don't scratch off the surface. Styled with sterling silver curls to match the dragonflies. Piece measures 1 3/4 by 1 1/4 and comes with a sterling silver snake chain.